Patchwork n Play: Hitting the ground running! I was keen to remedy it this weekend! a nasty night time photo! I didn't want to go empty handed! So a tote bag was made! no longer stocked, I believe? That's a lovely bag and I hope your holiday was lovely, the photos are beautiful. You're sure making the most of your three days! The bag is really cute, and I like what you did with the hexies. Lovely pictures! I love that tote bag and the fabric!! Oh wow! Such prettiness away from home AND in your sewing room! I know the excursion was a trial due to the boys and the weather, but you sure did see some beautiful things. I still don't know how to distinguish between a wallaby and a kangaroo. And that tote is great! Your friend will surely love it, and you for making it for her. Hope you're continuing to splurge in your sewing room over your long weekend. I'm in mine today (Sunday), getting ready for teaching, and presenting on Monday and Tuesday, and teaching and presenting again next Monday and Tuesday. Beautiful photos Suz. 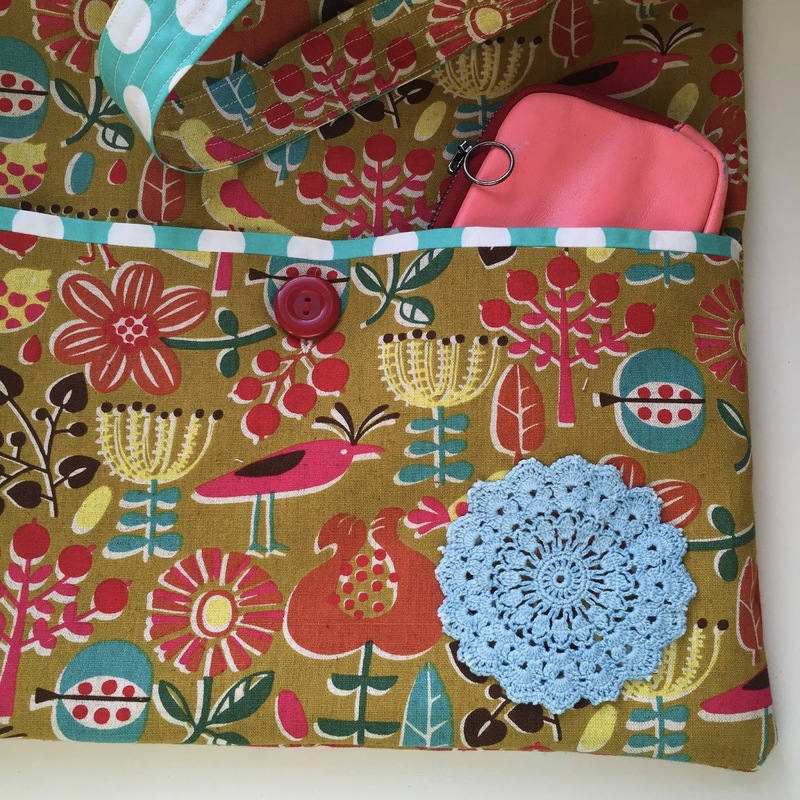 I love the tote, such fun fabric and the doily is an unexpected embellishment but works perfectly. Lucky you getting an extra day! 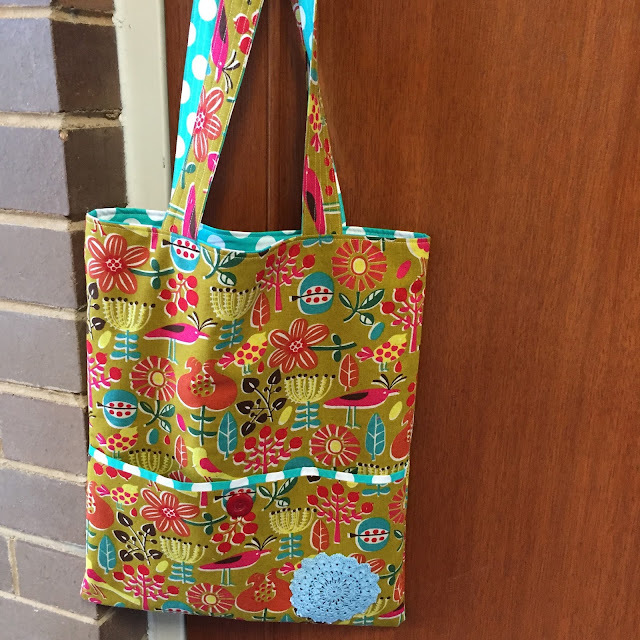 Cute tote and those Tula hexies are so pretty together - have a great long weekend! Love those sweet little hexies. A wallaby looks so cute!!! Great quilt projects, especially those hexies! No dust gathering under your feet. That bag is to die for ... time well spent. You have made up for your week away. The bag looks great and is a lovely gift. Good luck with the hexies. Seems you had a wonderful time and lots of adventures with the kids :-) But being back and able to sew sure feels great! The tote you made is fantastic! What a cute &a thoughtful tote! Love the outdoor photos - I'm dreaming of green. The ice went off the lake on Tuesday, so spring will follow.